Have you been dreaming of your wedding dress? 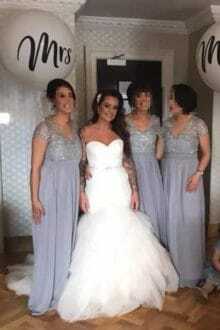 We sell second hand, pre loved and ex sample wedding dress in Ireland. Little girls grow up so fast... and one thing which remains constant throughout these years is the dream of a perfect wedding dress that every little girl pictures herself in as she walks down the aisle to embark on a new journey! However, realising this dream can be difficult to afford at times. Not anymore! Welcome to Sell My Wedding Dress – Ireland's Premier Bridal Wear online website, with the best second hand wedding dresses along with Pre-owned wedding gowns enabling brides to live the fairy-tale dream without burning a hole in their pocket. 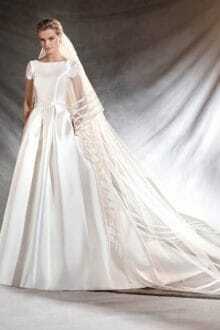 They can buy and sell their once-worn, new and pre-owned wedding dresses to get the maximum value from them. Isn't it disheartening to see a wedding dress end up gathering dust in the wardrobe while so many ‘to-be’ brides dream of having the same but could not afford for some reason? We understand this and offer a wide range of top-quality second hand and pre-owned wedding dresses at a fraction of the price. 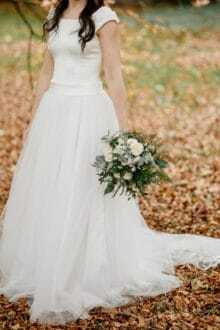 Browse through our wedding dress gallery in popular styles.